2. Agree to the terms by checking the box next to I agree to the terms & conditions, and then click Download. 3. 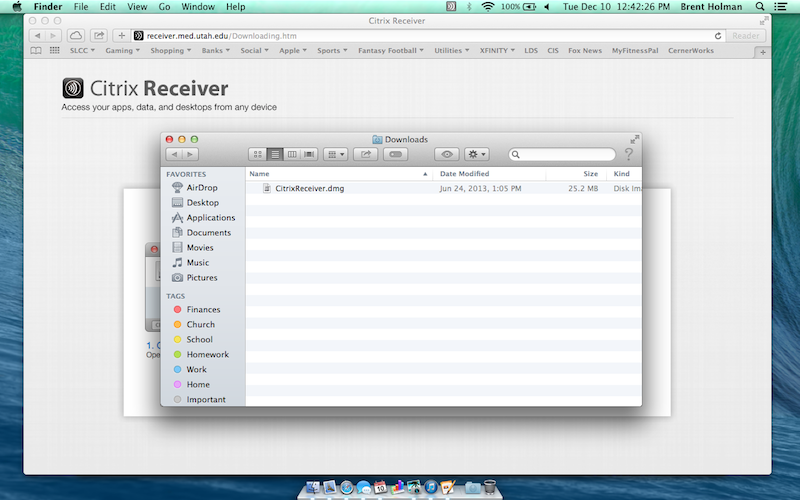 In the Downloads folder you should now see the CitrixReceiver.dmg. 4. 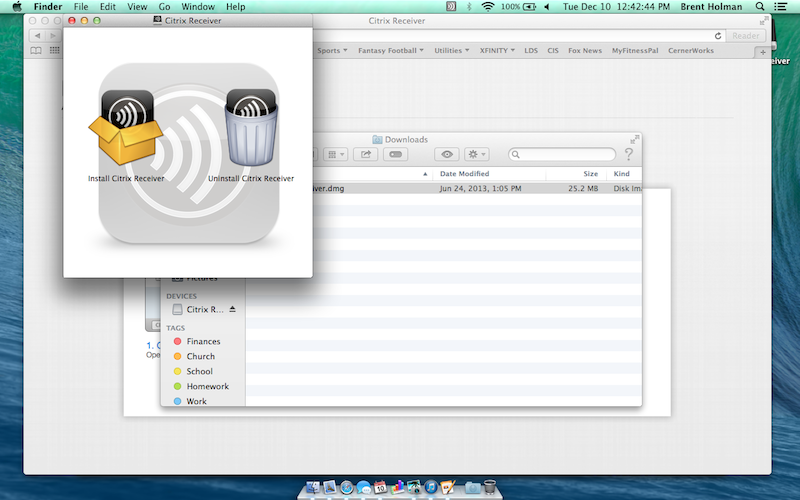 Open CitrixReceiver.dmg, and you should see two icons. One is for installing the Citrix Receiver, and the other is for uninstalling the Citrix Receiver. 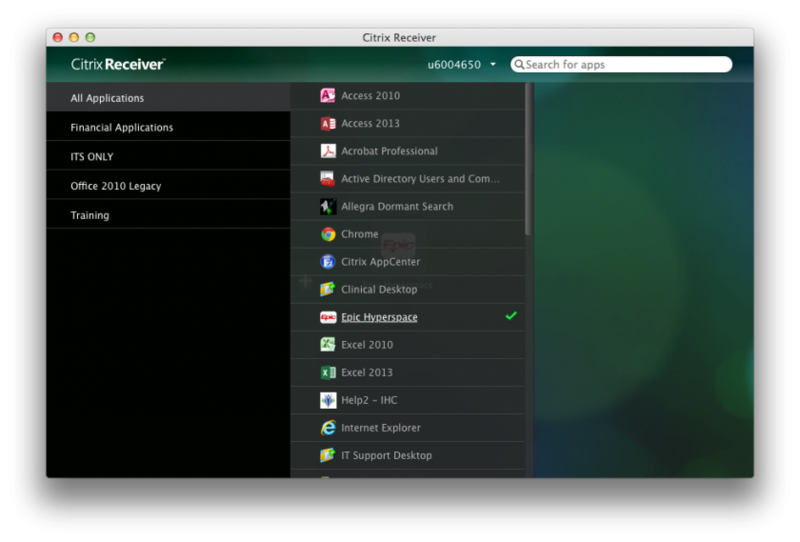 Select Install Citrix Receiver. 5. 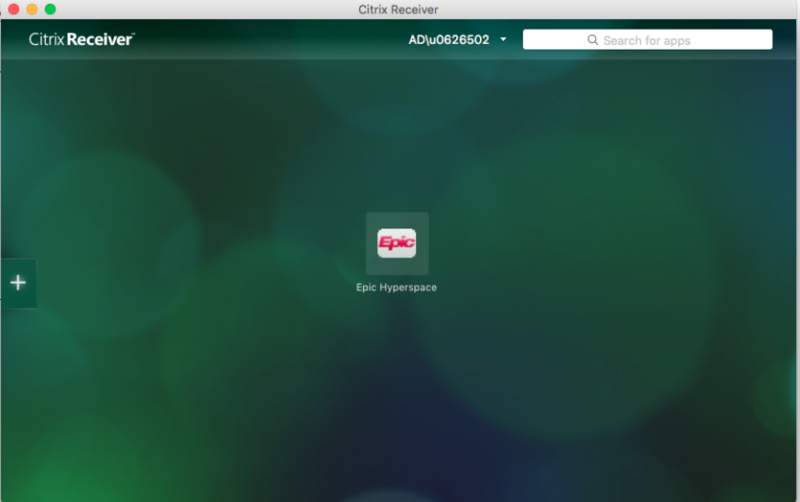 Citrix will then walk you through the installation process, which shouldn't take very long, and then you will get a new Citrix Receiver icon, which can be found in the Launchpad, as shown below. 6. 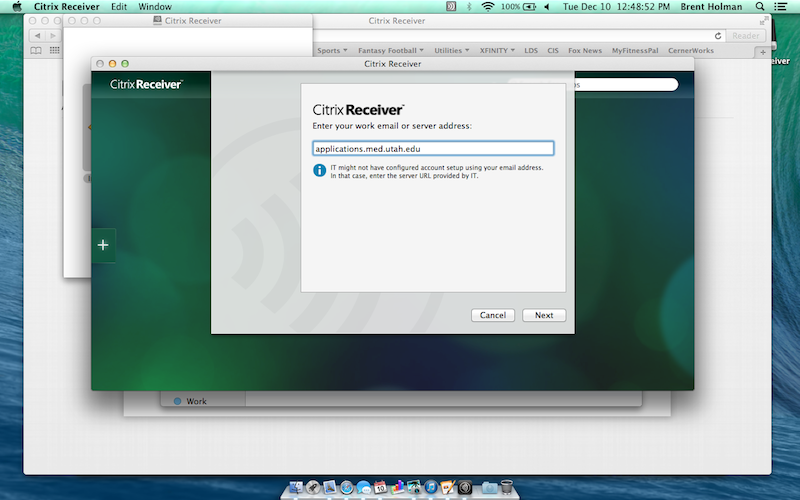 When you first open the Citrix Receiver app, it will ask you for your work email or server address. In here, you will need to enter applications.med.utah.edu, and then click Next. 7. 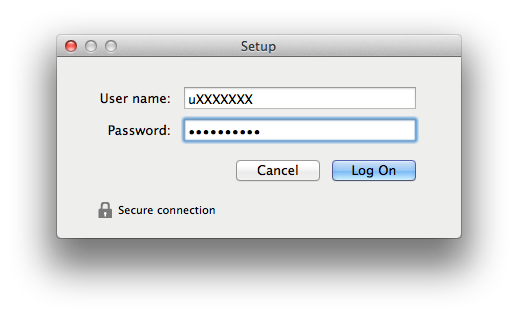 Citrix will prompt you to login, using your university credentials. Passcode (only if accessing offsite): RSA token code from your RSA hardware or software. If using a hardware token fob, enter your PIN + Token Code (no spaces). If using your software token, including Mac/Windows computers and iOS/Android devices, you will enter the token without a PIN.​ For more information on RSA (how to enroll or obtain a hardware/software token) you can go to the RSA SecurID Self Help Page. 9. 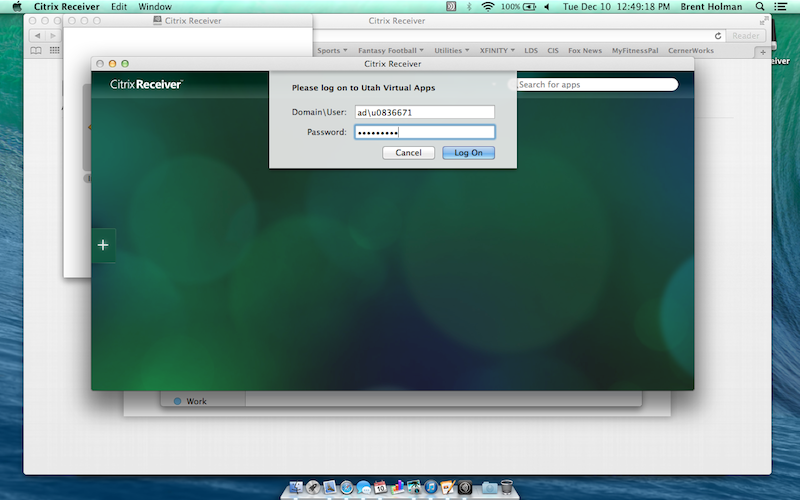 You should now see a blank green Citrix screen. You can now add apps by clicking on the + icon. 10. 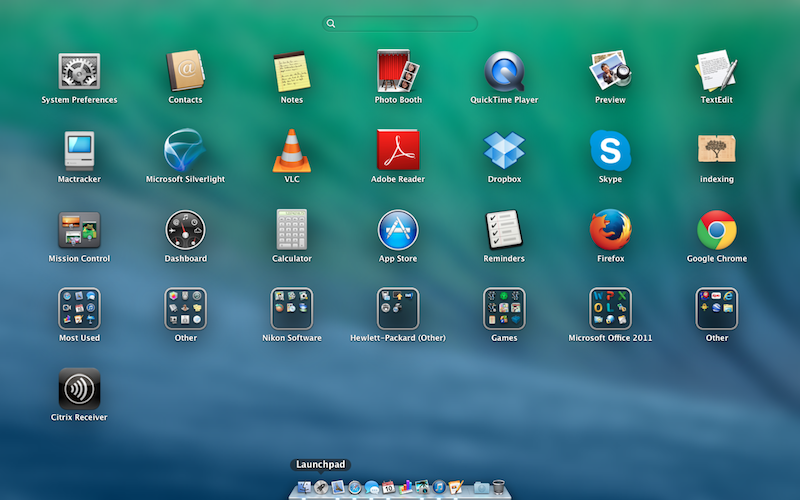 Select each app that you want to have on your main screen, and a green check mark will be placed next to it. 11. 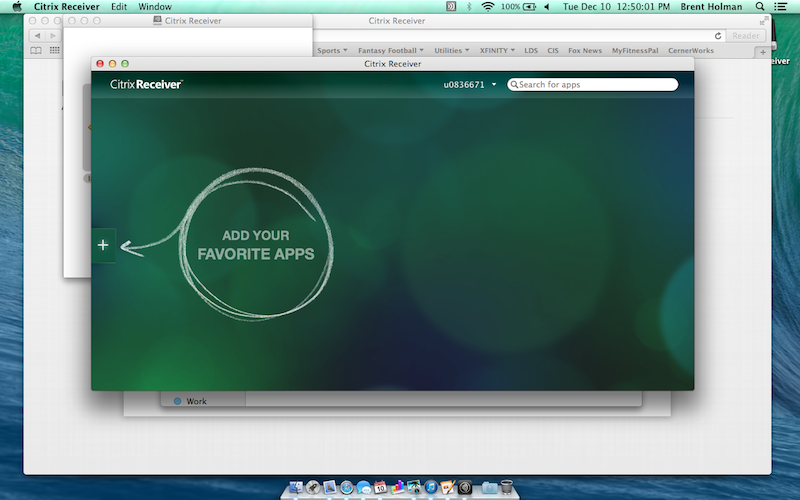 After you have selected the apps that you want to use, they will a​ppear on the main screen of the Citrix Receiver. 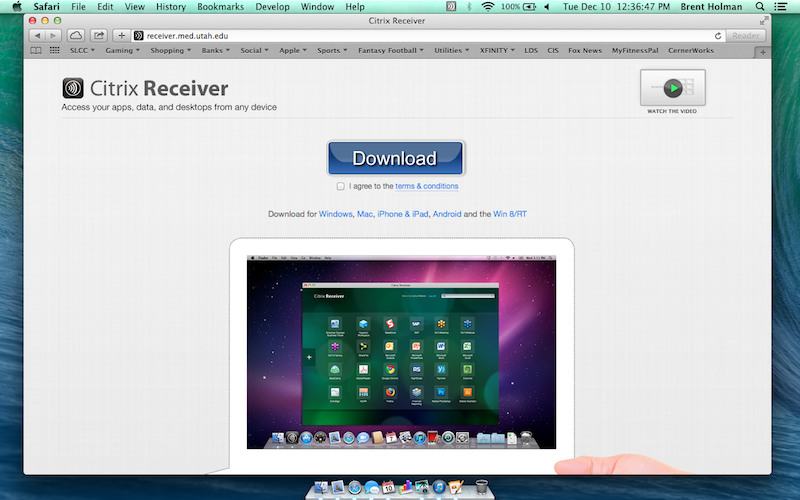 NOTE: Though these screenshots portray the use of the Citrix Receiver app, Mac-users can also go to applications.med.utah.edu, using their Safari browser, to get access to their Citrix applications online. This page was last modified on 10 June 2016, at 13:29.